Millennium Hotels & Resorts Middle East and Africa (MEA), one of the fastest growing hotel management companies in the region, has signed a management agreement to operate Millennium Place Barsha Heights in Dubai. The partnership was signed by Ali Alzaabi, president of Millennium Hotels and Resorts MEA, and Marwan Hatahet, owner representative, during the Arabian Hotel Investment Conference (AHIC) held in Ras Al Khaimah. 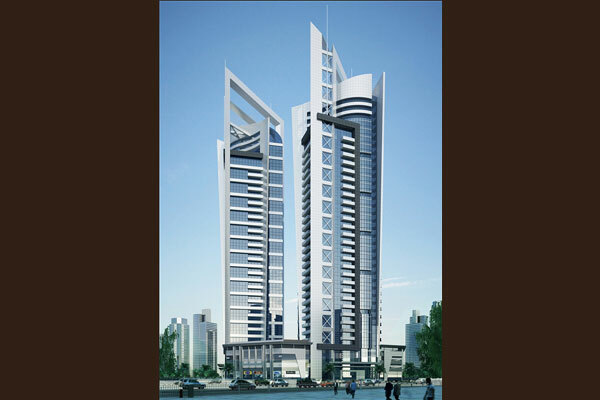 The second Millennium Place property in the UAE, the Millennium Place Barsha Heights is expected to open in Q4 this year and is comprised of 915 rooms, suites and serviced apartments, all designed to deliver a unique guest experience in line with the brand’s “Find Your Happy Place” promise. “We are grateful to Leadersport for entrusting us with the management of Millennium Place Barsha Heights. The Barsha Heights is a dynamic and growing community and operating another Millennium property in this area reflects our commitment to support the country’s growing tourism and hospitality industry. We are enhancing our portfolio to offer quality accommodation to varied guests and the Millennium Place promises to bring unique and more personalized experience,” said Ali Alzaabi, president of Millennium Hotels and Resorts Middle East and Africa. “We are proud to collaborate with Millennium Hotels and Resorts to manage Millennium Place Barsha Heights, our first hotel and our first entry into the tourism sector. The group has a strong reputation in operating hotel properties in the region and we trust that Millennium Hotels and Resorts’ premium service and brand will add exceptional value to our property,” noted Hatahet. A four-star lifestyle hotel, the two-tower Millennium Place Barsha Heights will feature a speciality restaurant, all-day dining outlet and a lounge. The spacious bedrooms will have separate living and dining areas. Facilities include a fitness centre, two outdoor swimming pools with two kids pool, business centre, lady’s saloon and a travel desk.